Investing an additional half-penny in public transportation will result in significant benefits for Georgia citizens in the Atlanta metro area and beyond. As the leader of a major higher education institution that includes the most comprehensive health-care system in Georgia, I am enthusiastic about what a small additional investment in rapid transit expansion can achieve for the state in terms of increased economic development, new jobs, enhanced public safety, and overall improvement in the quality of life. Indeed, Georgia risks losing our competitive edge in areas critical to our economy — business, health care, education, and research — by not making this investment. Study after study tells us that millennials — the group we must recruit to remain competitive in areas critical to our economic vitality — want easy access to their place of employment, and they want to spend free time with their friends and families and engaged in recreational activities rather than enduring lengthy commutes. Thousands of new jobs in the region have been created as a result of corporate relocations by State Farm, Mercedes-Benz, PulteGroup, Kaiser Permanente, and NCR — and these companies all emphasized the need for access to public transportation as one of their top priorities in considering a move here. As time-consuming and frustrating as traffic congestion can be, there’s a more compelling reason for alleviating gridlock: Ease of access and mobility are imperative in order to attract and retain top talent among our state’s leading education, health care, public health, and research institutions. As evidenced by recent corporate relocations, we stand to lose future economic development opportunities unless we expand transportation options in the metro region and beyond. The Clifton Corridor represents an excellent example of an area that can make even greater contributions to the state’s economic development and society’s health and well-being through increased public transportation. Emory University and the Emory Healthcare complex are located in the heavily congested corridor, also home to the Centers for Disease Control and Prevention, Children’s Healthcare of Atlanta, and other large organizations that not only provide employment for a growing sector of Atlanta’s workforce, but also provide critical services around the clock to Georgia’s citizens. The Clifton Corridor is the largest employment center in the metro region that is not served by MARTA’s rail system or does not have easy access to an interstate highway. The corridor has more than 30,000 employees, and tens of thousands of cars pass through the area each day. Access must be maintained to critical health-care facilities and services within the corridor, and the CDC must be able to respond quickly to public health emergencies in the immediate community as well as around the world. Connectivity to other institutions in the greater metro area (Georgia Tech, for instance) also is critical. Economic development in this region has been increasingly fueled by synergies created by collaborations among these institutions. These productive partnerships can be greatly enhanced when our employees are able to travel easily between our facilities. According to a recent economic analysis commissioned by the Metro Atlanta Chamber and Georgia Transportation Alliance, investing an additional half-penny in public transit — specifically to proposed projects in the Clifton Corridor, I-20 East and Georgia 400 — would infuse $5.2 billion into the region’s overall economy, and would lead to 45,000 new jobs and $116 million in additional annual wages by 2040. The proposed light rail line from the Lindbergh MARTA station to the Clifton Corridor alone would give new transit access to the more than 197,000 jobs based at Clifton Corridor institutions, the Atlanta VA Medical Center, DeKalb Medical Center, and the large commercial and residential redevelopment planned along the route. Traffic congestion is not a local or even a metro problem to solve. Georgia’s economic health depends to a great degree on the success of our state’s education, health care, public health, and research facilities. We need to invest in expanding access to public transportation to maintain our competitive edge and to better serve our citizens. 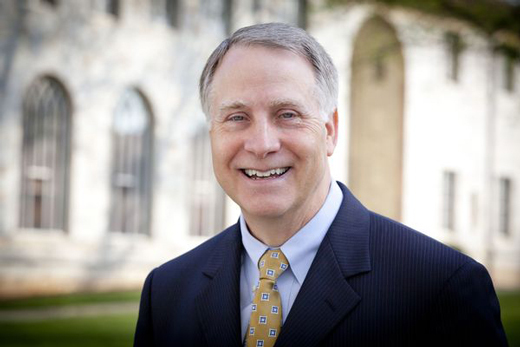 James W. Wagner is president of Emory University. This column appeared in the Feb. 19 issue of the Atlanta Business Chronicle.